On January 11, the Agriculture Marketing Service (AMS) of the U.S. Department of Agriculture (USDA) announced it had withdrawn its Grassfed Standard used in livestock and meat marketing due to lack of a clear congressional mandate to maintain it. 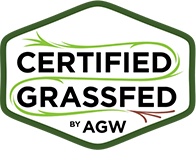 At A Greener World, we have long highlighted the major deficiencies in the USDA grassfed label claim (see The Grassfed Primer, page 5). For example, under this standard farmers could confine cattle on dirt feedlots for long periods outside the grass growing season, or use growth hormones and subtherapeutic antibiotics, and still market their beef under the USDA grassfed label claim–just as long as they fed the animals ‘cut grass or forage.’ Yet despite these clear limitations, we recognize the USDA grassfed standard at least provided a minimum baseline in the market. We therefore believe the removal of the USDA grassfed standard will lead to significant confusion in the marketplace about grassfed label claims, and could allow unscrupulous operations to market meat or dairy products as “grassfed” when their production methods do not even meet the previous low requirements of the USDA standards, potentially eroding consumer trust in all grassfed label claims. In a conference call on January 14, 2016, staff representatives from USDA’s Food Safety and Inspection Service (FSIS, the branch responsible for approving label claims) said that any grassfed label claim would still require official approval before use, and this would only be granted where “sufficient documentation” was provided that animals are fed a 100 percent forage diet from weaning onwards. However, a signed statement (affidavit) from the farmer is typically considered sufficient documentation, and there is no requirement for such label claims to be verified in any way. While these changes at the USDA are largely procedural, this development could result in a proliferation of “grassfed” label claims that do not meet consumer expectations. 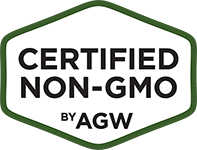 In light of the USDA’s announcement, transparent third-party certifications that clearly define 100 percent grassfed production (like Certified Grassfed by AGW) become more important than ever for protecting the interests of “true” grassfed farmers and conscientious consumers alike. 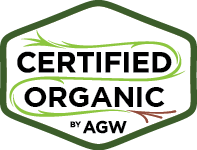 A Greener World will continue to promote Certified Grassfed by AGW farmers and their products, and maintain its position as a beacon of trust and integrity in what has likely just become an even more confusing marketplace. Shop your way to A Greener World! 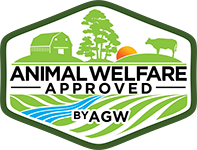 Our free searchable database will help you find Certified Grassfed by AGW, Certified Non-GE by AGW, and Certified Animal Welfare Approved by AGW products near you! 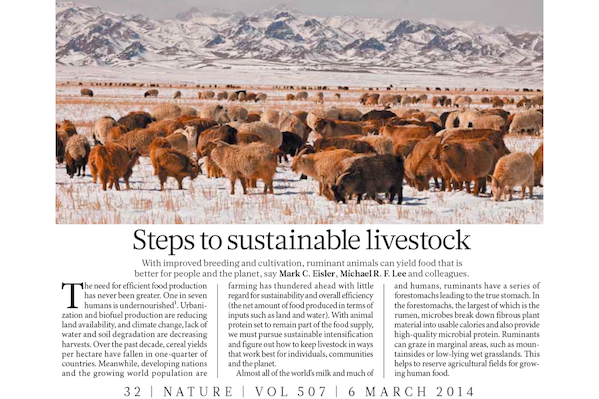 The science is in: There's no single diet solution to feeding the world sustainably, and grazing ruminant livestock—and the high-quality food they produce—will play a key role in our quest for future global food security.